David Lloyd George, 1st Earl Lloyd George of Dwyfor, OM, PC (January 17, 1863 – March 26, 1945) was a British statesman who guided Britain and the British Empire through World War I and the postwar settlement as the Liberal Party Prime Minister, 1916-1922. Lloyd George was the first Welshman to serve as Prime Minister. A renowned orator and a skilled negotiator, he earned the nickname "the Welsh wizard" for his ability to manipulate the political system. Passionate about social reform, as Chancellor of the Exchequer (1908-1916) he introduced state pensions. Determined to abolish the Work House, he declared a war on poverty but ran into opposition when he tried to raise the money to pay for this by taxing land and also by increasing the tax for higher income earners. He needed an additional six million pounds annually. When the 1909 People's budget was rejected by the unelected House of Lords, the government responded by reducing the upper house's powers. The same year, he introduced National Insurance to cover the cost of health care, which later became the foundation of the British National Health Service, the NHS. Consequently, Lloyd George is credited as the founder of the welfare state. Although born in Chorlton-on-Medlock, Manchester, England and therefore a Mancunian by birth, Lloyd George was a Welsh-speaking man and Welsh by descent and upbringing, the only Welshman ever to hold the office of Prime Minister in the British government. In March 1863 his father, who had been a school teacher in Manchester and other towns, returned to his native Pembrokeshire due to failing health and took up farming but died in July 1864, aged 44. His mother Elizabeth (1828-1896, daughter of David Lloyd, shoemaker and Baptist pastor, of Llanystumdwy, Caernarvonshire), sold the farm and moved with her children to her native Llanystumdwy, North Wales, where she lived with her brother Richard, a master cobbler and later a lay Baptist preacher who, as a strong Liberal, proved a towering influence on the boy, encouraging him to take up a career in law and enter politics; his uncle remained influential up until his death at age 83 in February 1917, by which time his nephew was prime minister. His childhood showed through in his entire career, as he attempted to aid the common man at the expense of what he liked to call "the Dukes." There were three children; Mary Ellen was his elder sister and William was born posthumously to his father in 1865. Articled to a firm of solicitors in Porthmadog, Lloyd George was admitted in 1884 after taking Honors in his final law examination and set up his own practice in the back parlor of his uncle's house in 1885. The practice flourished, he established branch offices in surrounding towns and took his brother William into partnership in 1887. By then he was politically active, having campaigned for the Liberal Party in the 1885 election in which he was attracted by Joseph Chamberlain's "unauthorized programme" of reforms. The election resulted firstly in a stalemate, neither the Liberals nor the Conservatives having a majority, the balance of power being held by the Irish National Party and then in William Gladstone's announcement of a determination to bring about Irish Home Rule which in turn led to Chamberlain leaving the Liberals to form the Liberal Unionists. 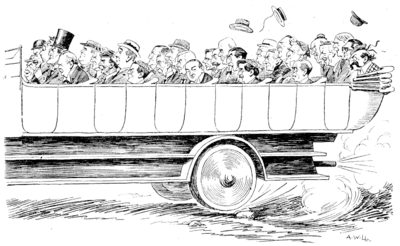 Lloyd George was uncertain of which wing to follow, carrying a pro-Chamberlain resolution at the local Liberal Club and traveling to Birmingham planning to attend the first meeting of Chamberlain's National Radical Union but he had his dates wrong and arrived a week too early. In 1907, he was to say that he thought Chamberlain's plan for a federal solution correct in 1886 and still thought so, that he preferred the unauthorized programme to the Whiggish platform of the official Liberal Party and that had Chamberlain proposed solutions to Welsh grievances such as land reform and disestablishment he, together with most Welsh Liberals, would have followed him. On January 24, 1888, he married Margaret Owen, the daughter of a well-to-do local farming family. Also in that year he and other young Welsh Liberals founded a monthly paper Udgorn Rhyddid (Trumpet of Freedom) and won on appeal to the Divisional Court of Queens Bench the Llanfrothen Burial case which established the right of Nonconformists to be buried according to their own denominational rites in parish burial grounds, a right given by the Burial Act 1880 that had hitherto been ignored by the Anglican clergy. It was this case, which was hailed as a great victory throughout Wales, and his writings in Udgorn Rhyddid that led to his adoption as the Liberal candidate for Caernarfon Boroughs on December 27, 1888. In 1889, he became an Alderman on the Caernarfon County Council which had been created by the Local Government Act 1888. At that time he appeared to be trying to create a separate Welsh National Party modeled on Parnell's Irish Parliamentary Party and worked towards a union of the North and South Wales Liberal Federations. His flair quickly showed, and he was narrowly returned Liberal MP for Caernarfon Boroughs on April 13, 1890 at a by-election caused by the death of the former Conservative member, his margin being 19 votes. When entering the House of Commons, he was the youngest MP in the house and he sat with an informal grouping of Welsh Liberal members with a programme of disestablishing and disendowing the Church of England in Wales, temperance reform and Welsh home rule. He would remain an MP until 1945, 55 years later. As at that time, backbench members of the House of Commons were not paid, he supported himself and his growing family by continuing to practice as a solicitor, opening an office in London under the title of Lloyd George and Co and continuing in partnership with William George in Criccieth. In 1897, he merged his growing London practice with that of Arthur Rhyrs Roberts (who was to become Official Solicitor) under the title of Lloyd George, Roberts and Co. He was soon speaking on Liberal issues (particularly temperance, the "local option" and national as opposed to denominational education) throughout England as well as Wales. During the next decade, Lloyd George campaigned in Parliament largely for Welsh issues and in particular for disestablishment and disendowment of the Church of England. He wrote extensively for Liberal papers such as the Manchester Guardian. When Gladstone retired after the defeat of the second Home Rule Bill in 1894 the Welsh Liberal members chose him to serve on a deputation to William Harcourt to press for specific assurances on Welsh issues and when those were not forthcoming they resolved to take independent action if the government did not bring a bill for disestablishment. When that was not forthcoming he and three other Welsh Liberals (David Alfred Thomas, Herbert Lewis and Frank Edwards) refused the whip on April 14, 1892 but accepted Lord Rosebery's assurance and rejoined the official Liberals on 29 May. Thereafter, he devoted much time to setting up branches of Cymru Fydd (Wales Will Be) which, he said, would in time become a force like the Irish National Party. He abandoned this idea after being criticized in Welsh newspapers for bringing about the defeat of the Liberal Party in the 1895 election and when, at a meeting in Newport on 16 January 1896, the South Wales Liberal Federation, led by David Alfred Thomas and Robert Bird moved that he be not heard. He gained national fame by his vehement opposition to the Second Boer War. He based his attack firstly on what were supposed to be the war aims – remedying the grievances of the Uitlanders and in particular the claim they were wrongly denied the right to vote saying "I do not believe the war has any connection with the franchise. It is a question of 45% dividends" and that England (which then did not have universal manhood suffrage) was more in need of franchise reform than the Boer republics. His second attack was on the cost of the war which prevented overdue social reform in England, such as old age pensions and workman's cottages. As the war progressed he moved his attack to its conduct by the generals, who he said (basing his words on reports by Burdett Coutt in The Times) were not providing for the sick or wounded soldiers and were starving Boer women and children in concentration camps. But he reserved his major thrusts for Chamberlain accusing him of directly profiteering from the war through the Chamberlain family company Kynochs Ltd of which Chamberlain's brother was Chairman and which had won tenders to the War Office though its prices were higher than some of its competitors. His attacks almost split the Liberal Party as H. H. Asquith, Richard Burdon Haldane and others were supporters of the war and formed the Liberal Imperial League. His attacks on the government's Education Act which provided that County Councils would fund church schools helped reunite the Liberals, his successful amendment that the County need only fund those schools where the buildings were in good repair served to make the Act a dead letter in Wales where the Counties were able to show most of the Church of England schools were in poor repair. Many nonconformists refused to pay their taxes, and were jailed or had property seized. A total of 170 members of John Clifford's National Passive Resistance Committee were imprisoned. Lloyd George supported his fellow nonconformists in their opposition to the 1902 Education Act. Having already gained national recognition for his anti-Boer War campaigns, his leadership of the attacks on the Education Act gave him a strong parliamentary reputation and marked him as a future cabinet member. In 1905, he entered the new Liberal Cabinet of Sir Henry Campbell-Bannerman as President of the Board of Trade. In that position he brought legislation on many topics, from Merchant Shipping and Companies to Railway regulation but his main achievement was in stopping a proposed national strike of the railway unions by brokering an agreement between the unions and the railway companies. While almost all the companies refused to recognize the unions Lloyd George persuaded the companies to recognize elected representatives of the workers who sat with the company representatives on conciliation boards -one for each company. If those boards failed to agree then there was a central board. This was Lloyd George's first great triumph for which he received praises from among others Kaiser Wilhelm II. His great excitement - apparent from his letters to his family -was crushed by his daughter Mair's death from appendicitis a fortnight later in November 1907. He was largely responsible for the introduction of old age pensions, unemployment benefit and state financial support for the sick and infirm - legislation often referred to as the Liberal reforms. These social benefits were met with great hostility in the House of Lords where the "People's Budget" Lloyd George championed to introduce and finance them was rejected because it angered the landed gentry. These social reforms began in Britain the creation of a welfare state that had been preceded in Germany some 20 years earlier. They fulfilled in both countries the aim of dampening down the demands of the growing working class for rather more radical solutions to their impoverishment. Considered a pacifist until 1914, Lloyd George changed his stance when World War I broke out. When the Liberal government fell as a result of the Shell Crisis of 1915 and was replaced with a coalition government dominated by Liberals still under the Premiership of Asquith, Lloyd George became the first Minister of Munitions in 1915 and then war secretary in 1916. There are certain indispensable qualities essential to the Chief Minister of the Crown in a great war…. Such a minister must have courage, composure, and judgment. All this Mr. Asquith possessed in a superlative degree…. But a war minister must also have vision, imagination and initiative—he must show untiring assiduity, must exercise constant oversight and supervision of every sphere of war activity, must possess driving force to energize this activity, must be in continuous consultation with experts, official and unofficial, as to the best means of utilising the resources of the country in conjunction with the Allies for the achievement of victory. If to this can be added a flair for conducting a great fight, then you have an ideal War Minister. After December 6, 1916, despite occupying the Premiership Lloyd George was not all powerful, being dependent on the support of Conservatives for his continuance in power. 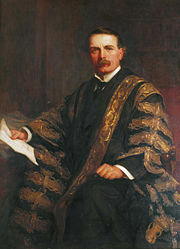 This was reflected in the make-up of his 5-member war cabinet, which as well as himself included the Conservative Lord President of the Council and Leader of the House of Lords, Lord Curzon; Chancellor of the Exchequer and Leader of the House of Commons, Andrew Bonar Law; and Minister without Portfolio, Lord Milner. The fifth member, Arthur Henderson, was the unofficial representative of the Labour Party. This accounts for Lloyd George's inability to establish complete personal control over military strategy, as Churchill did in the Second World War, and accounted for some of the most costly military blunders of the war. Nevertheless the War Cabinet was a very successful innovation. It met almost daily, with Sir Maurice Hankey as secretary, and made all major political, military, economic and diplomatic decisions. Rationing was finally imposed in early 1918 and was limited to meat, sugar and fats (butter and oleo) – but not bread; the new system worked smoothly. From 1914 to 1918 trade union membership doubled, from a little over four million to a little over eight million. Work stoppages and strikes became frequent in 1917-18 as the unions expressed grievances regarding prices, liquor control, pay disputes, "dilution," fatigue from overtime and from Sunday work, and inadequate housing. Conscription put into uniform nearly every physically fit man, six million out of ten million eligible. Of these about 750,000 lost their lives and 1,700,000 were wounded. Most deaths were to young unmarried men; however 160,000 wives lost husbands and 300,000 children lost fathers. The St. Bernard Pup (to his Master). "This situation appeals to my hereditary instincts. Shall I come to the rescue?" a happier country for all. We want a peace which will be just, but not vindictive. We want a stern peace because the occasion demands it, but the severity must be designed, not for vengeance, but for justice. Above all, we want to protect the future against a repetition of the horrors of this war.. He stated that he expected another war within 20 years. 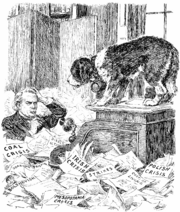 Lloyd George began to feel the weight of the coalition with the Conservatives after the war. His decision to extend conscription to Ireland was nothing short of disastrous, indirectly leading a majority of Irish MPs to declare independence. He presided over a war of attrition in Ireland, which led to the negotiation of the Anglo-Irish Treaty with Arthur Griffith and Michael Collins and the formation of the Irish Free State. At one point, he famously declared of the IRA, "We have murder by the throat!" However he was soon to begin negotiations with IRA leaders to recognize their authority and end the conflict. Lloyd George's coalition was too large, and deep fissures quickly emerged. The more traditional wing of the Unionist Party had no intention of introducing these reforms, which led to three years of frustrated fighting within the coalition both between the National Liberals and the Unionists and between factions within the Conservatives themselves. It was this fighting, coupled with the increasingly differing ideologies of the two forces in a country reeling from the costs of war that led to Lloyd George fall from power. In June 1922 Conservatives were able to show that he had been selling knighthoods and peerages for money. This led to a major attack in the House of Lords on his corruption resulting in the Honours (Prevention of Abuses) Act 1925. The Conservatives also attacked Lloyd George as lacking any executive accountability as Prime Minister, claiming that he never turned up to Cabinet meetings and banished some government departments to the gardens of 10 Downing Street. His government was brought down by the Chanak Crisis during which on 12 October 1922 at a meeting called by Austen Chamberlain as the leader of the Conservatives in the House of Commons, the frustrated and underused coalition backbenchers sealed Lloyd George's fate. Chamberlain and other prominent Conservatives such as Lord Birkenhead argued for supporting Lloyd George, while prospective party leader Andrew Bonar Law argued the other way, claiming that breaking up the coalition "wouldn't break Lloyd George's heart." The main attack came from Stanley Baldwin, then a junior treasury minister, who spoke of Lloyd George as a "dynamic force" who would break the Conservative Party. Baldwin and many of the more progressive members of the Conservative Party fundamentally opposed Lloyd George and those who supported him on moral grounds. The motion that the Conservative Party should fight the next election (then due in a matter of months) on its own, rather than co-operating with the Coalition Liberals was carried 187 to 86. Throughout the next two decades Lloyd George remained on the margins of British politics, being frequently predicted to return to office but never succeeding. Before the 1923 election, he made up his dispute with Asquith, allowing the Liberals to run a united ticket, and in 1926 he succeeded Asquith as Liberal leader. In 1929 Lloyd George became Father of the House, the longest serving member of the Commons. In 1931 an illness prevented his joining the National Government when it was formed. Later when the National Government called a General Election he tried to pull the Liberal Party out of it but succeeded in taking only a few followers, most of whom were related to him; the main Liberal party remained in the coalition for a year longer, under the leadership of Sir Herbert Samuel. In 1935 he sought to promote a radical programme of economic reform, called "Lloyd George's New Deal" after the American New Deal. However the programme did not find favor in the mainstream political parties. Later that year Lloyd George and his family reunited with the Liberal Party in Parliament. In August 1936 Lloyd George met Hitler at Berchtesgaden and offered some public comments that were surprisingly favorable to the German dictator, expressing warm enthusiasm both for Hitler personally and for Germany's public works schemes (upon returning, he wrote of Hitler in the Daily Express as "the greatest living German," "the George Washington of Germany"). Despite this embarrassment, however, as the 1930s progressed Lloyd George became more clear-eyed about the German threat and joined Winston Churchill, among others, in fighting the government's policy of appeasement. In the late 1930s he was sent by the British government to try to dissuade Adolf Hitler from his plans of Europe-wide expansion. 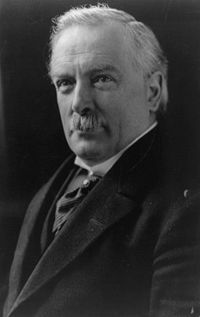 In perhaps the last important parliamentary intervention of his career, which occurred during the crucial Norway Debate of May 1940, Lloyd George made a powerful speech that helped to undermine Chamberlain as Prime Minister and to pave the way for the ascendancy of Churchill as Premier. A pessimistic speech on May 7, 1941 led Churchill to compare him with Pétain. He cast his last vote in the Commons on February 18, 1943 as one of the 121 MPs (97 Labour) condemning the government for its failure to back the Beveridge report. Fittingly, his final vote was in defense of the welfare state which he had helped to create. During the Second World War there was speculation about Lloyd George returning to government, but this came to nothing. Churchill offered Lloyd George a position in his cabinet as Minister for Agriculture, but was refused because Lloyd George felt he was too old. He was pessimistic and resigned about Britain's prospects, fearful of German air raids, and perhaps he wished to avoid being too closely identified with his former protégé in the event of a German conquest. He enjoyed listening to the broadcasts of William Joyce. Increasingly in his late years his characteristic political courage gave way to physical timidity and hypochondria. He continued to attend Castle Street Baptist Chapel in London, and to preside over the national eisteddfod at its Thursday session each summer. At the end, he returned to Wales. In September 1944, he and Frances left Churt for Tŷ Newydd, a somewhat bleak farming property near his boyhood home in Llanystumdwy. He was now weakening rapidly and his voice failing. He was still an MP but learned that wartime changes in the constituency meant that Caernarfon Boroughs might go Conservative at the next election. In early 1945 the great commoner was raised to the peerage as Earl Lloyd George of Dwyfor and Viscount Gwynedd, of Dwyfor in the County of Caernarvonshire; this did not raise his reputation among his admirers. He died of cancer shortly afterwards at Tŷ Newydd, aged 82, without ever taking up his seat in the House of Lords, Frances and his daughter Megan at the bedside. Four days later, in a simple service, he was buried beside the River Dwyfor in Llanystumdwy. A great boulder marks his grave; there is no inscription. His perceived double-dealing on many issues alienated many of his former supporters, but there is no doubt that he was a brilliant politician, hence his nickname: The Welsh Wizard. In January 1941, his wife Dame Margaret died; this deeply upset him and heavy snowdrifts prevented his getting to her bedside before she died. In October 1943, aged 80, he married his secretary and mistress, Frances Stevenson (who had been with Lloyd George for over 30 years at the time of his death and became Countess Lloyd George of Dwyfor), a cultivated, beautiful woman now largely remembered for her extensive, insightful diaries that dealt with the issues and statesmen that were a part of her lover's life. This caused severe tension with his daughter and other family members. He had five children: Richard (1889-1968), Mair (1890-1907), Olwen (1892-1990), Gwilym (1894-1967) and Megan (1902-1966). His son, Gwilym, and daughter, Megan, both followed him into politics and were elected members of parliament. They were politically faithful to their father throughout his life but following their father's death each drifted away from the Liberal Party, with Gwilym finishing his career as a Conservative Home Secretary, whilst Megan became a Labour MP in 1957, perhaps symbolizing the fate of much of the old Liberal Party. The Canadian historian Margaret MacMillan is his great-granddaughter, and is currently an active professor and provost of Trinity College at the University of Toronto. He may have had other sexual relations too but "Thanks to his friends in the press however, his little discretions were in the main kept out of the papers"
May - August 1917 - In temporary absence of Arthur Henderson, George Barnes, Minister of Pensions acts as a member of the War Cabinet. August 1917 - George Barnes succeeds Arthur Henderson (resigned) as Minister without Portfolio and Labour Party member of the War Cabinet. April 1918 - Austen Chamberlain succeeds Lord Milner as Minister without Portfolio. January 1919 Law becomes Lord Privy Seal, remaining Leader of the House of Commons, and is succeeded as Chancellor of the Exchequer by Chamberlain; both remaining in the War Cabinet. Smuts is succeeded by Sir Eric Geddes as Minister without Portfolio. "I think it would be a calamity if we did anything to prevent the economic use of charabancs. "—Sir Eric Geddes. First "Banc." Mr. Lloyd George, Mr. Bonar Law, Mr. Balfour, Mr. Chamberlain, Mr. Churchill. Second "Banc." Sir E. Geddes, Mr. Shortt, Mr. Long, Sir Robert Horne, Col. Amery. Third "Banc." Mr. Illingworth, Lord E. Talbot, Mr. Fisher, Dr. Addison, Sir Gordon Hewart. Fourth "Banc." Mr. Kellaway, Sir M. Barlow, Sir L. Worthington Evans, Sir A.G. Boscawen, Mr. Towyn Jones. Fifth "Banc." Sir Hamar Greenwood, Mr. Baldwin, Sir James Craig, Mr. Denis Henry, Mr. Neal. Sixth "Banc." Mr. Montagu, Dr. Macnamara, Mr. McCurdy, Mr. Ian Macpherson, Sir A. Mond. Cartoon in Punch magazine August 18, 1920 depicting Lloyd George's government ministers, against a quote from that week's Hansard. Going to the Country is an idiom for the calling of an election; in this case, Punch's prediction was off by some two years. The War Cabinet was formally maintained for much of 1919, but as Lloyd George was out of the country for many months this did not noticeably make much of a difference. In October 1919 a formal Cabinet was reinstated. May 1919 - Sir Auckland Geddes succeeds Sir Albert Stanley as President of the Board of Trade. Sir Eric Geddes becomes Minister of Transport. October 1919 - Lord Curzon of Kedleston succeeds Balfour as Foreign Secretary. Balfour succeeds Curzon as Lord President. The Local Government Board is abolished. Christopher Addison becomes Minister of Health. The Board of Agriculture is abolished. Lord Lee of Fareham becomes Minister of Agriculture. Sir Eric Geddes becomes Minister of Transport. January 1920 - George Barnes leaves the cabinet. March 1920 - Sir Robert Horne succeeds Sir Auckland Geddes as President of the Board of Trade. Thomas McNamara succeeds Horne as Minister of Labour. April 1920 - Sir Hamar Greenwood succeeds Ian Macpherson as Chief Secretary for Ireland. Sir Laming Worthington-Evans joins the Cabinet as Minister without Portfolio. February 1921 - Winston Churchill succeeds Lord Milner as Colonial Secretary. Sir Laming Worthington-Evans succeeds Churchill as War Secretary. Lord Lee of Fareham succeeds Walter Long at the Admiralty. Sir Arthur Griffith-Boscawen succeeds Lee as Minister of Agriculture. March 1921 - Austen Chamberlain succeeds Bonar Law as Lord Privy Seal and Leader of the Commons. Sir Robert Horne succeeds Chamberlain at the Exchequer. Stanley Baldwin succeeds Horne at the Board of Trade. April 1921 - Lord French resigns from the cabinet, remaining Lord Lieutenant. Christopher Addison becomes a Minister without Portfolio. Sir Alfred Mond succeeds him as Minister of Health. The Ministry of Munitions is abolished. November 1921 - Sir Eric Geddes resigns from the cabinet. His successor as Minister of Transport is not in the Cabinet. The Attorney General, Sir Gordon Hewart, enters the Cabinet. March 1922 - Lord Peel succeeds Edwin Montagu as India Secretary. April 1922 - The First Commissioner of Works, Lord Crawford, enters the Cabinet. ↑ Winston Churchill, cited by Philip Steele, "David Lloyd George," Channel 4 History David Lloyd George retrieved 06 May 2007. The statement is dated 1945. ↑ . "Lloyd George: Founder of the Welfare State"
Beaverbrook, Lord Max Aitken. The Decline and Fall of Lloyd George London: Collins, 1963. Havighurst, Alfred F. Twentieth-Century Britain. NY: Harper & Row, 1966. Jones, Thomas. Lloyd George. Cambridge, MA: Harvard University Press, 1951. Lentin, Antony. "Maynard Keynes and the ‘Bamboozlement’ of Woodrow Wilson: What Really Happened at Paris?" Diplomacy & Statecraft 15 (4)(Dec 2004): 725-763, (AN 15276003), why veterans pensions were included in reparations. Morgan, Kenneth O. "Lloyd George's Premiership: A Study in 'Prime Ministerial Government.'" The Historical Journal 13 (March 1970). Owen, Frank. Tempestuous Journey: Lloyd George, His Life and Times. NY: McGraw-Hill, 1955. Taylor, A.J.P. English History, 1914-1945. 1965. Wilson, Trevor. The Downfall of the Liberal Party 1914-1935. Ithaca, NY: Cornell University Press, 1966. Woodward, Sir Llewellyn. Great Britain and the War of 1914-1918. London: Methuen, 1967. Lloyd George, David. The Truth About the Peace Treaties. 2 vols. London: Victor Gollancz, 1938. Lloyd George, David. 1933. War Memoirs of David Lloyd George. 2 vols. London: Ivor Nicholson & Watson. An unusually detailed and candid record. Taylor, A.J.P. ed. Lloyd George: Twelve Essays. NY: Atheneum, 1971. All links retrieved November 10, 2017. 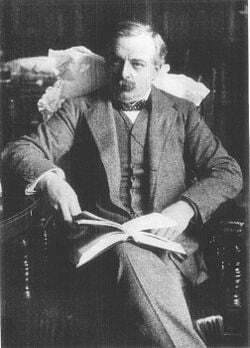 History of "David Lloyd George"
This page was last modified on 10 November 2017, at 22:49.